George Michael O’Donnell, 87, of Glencoe, passed away Friday, Jan. 25, at the Abbott Northwestern Hospital in Minneapolis. A Mass of Christian Burial was held Friday, Feb. 1, 10:30 a.m. at Church of St. Pius X in Glencoe, with interment following in the Glencoe Catholic Cemetery in Glencoe. The Rev. Anthony Stubeda was the officiating clergy. Kyle O’Donnell was the reader. Bradley O’Donnell delivered the eulogy. Mary Ann Thalmann was the pianist and Denise Lueders was the song leader. “Here I Am Lord,” “Well Done,” “Be Not Afraid,” “On Eagle’s Wings,” “I Am The Bread Of Life,” and “How Great Thou Art” were the musical selections. Glencoe American Legion Post No. 95 provided military honors. Katie Weber, Mitchell Jewett, Kyle O’Donnell, Kayla Muenchow, Matthew Muenchow, Kelsey O’Donnell, Derek Weber, Elizabeth O’Donnell, Olivia Lemke, Amber O’Donnell, and Spencer Lemke were the casket-bearers. Brea O’Donnell was an honorary casket-bearer. George Michael O’Donnell was born Nov. 8, 1931, in Glencoe. He was the son of Michael and Elizabeth (Reinke) O’Donnell. Mr. O’Donnell was baptized as an infant Nov. 15, 1931, by the Rev. P.C. Maloney and later was confirmed in his faith June 8, 1946, both at St. George Catholic Church in Glencoe, Minnesota. 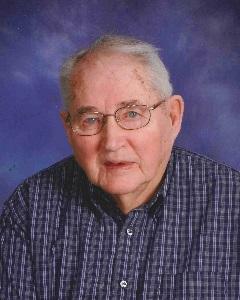 He received his education at Glencoe High School, graduating with the Class of 1949. He entered active military service in the United States Army on May 22, 1956. He served in Germany for 18 months during the Cold War. Mr. O’Donnell was honorably discharged May 7, 1958. Mr. O’Donnell was united in marriage to Jo’Cleta Junn in Minneapolis June 24, 1961. He and Jo made their home in Glencoe. Their marriage was blessed with five children, Brian, Brennan, Lisa, Bradley and Denise. George and Jo shared over 57 years of marriage together. Mr. O’Donnell worked at Johnson Motors as a service manager for 42 years. He was a faithful member at Church of St. Pius X in Glencoe, where he was a member of the Knights of Columbus Council and served as a board member at St. Pius School and Catholic Board of Education. Mr. O’Donnell was also a member of the Brewers Baseball Association Board. Mr. O’Donnell enjoyed reading newspapers and magazines, gardening, outdoor barbecuing, watching world news, old TV shows, and loved sports, especially football, basketball, and baseball. He also enjoyed working the concession stands for high school sports and Glencoe Brewers baseball games. Mr. O’Donnell loved his sweets, especially double stuff Oreos and lemon drops. Mr. O’Donnell passed away Friday, Jan. 25, at Abbott Northwestern Hospital in Minneapolis at the age of 87 years, 2 months and 17 days. Blessed be his memory. He is survived by his wife, Jo’Cleta O’Donnell of Glencoe; children, Brian O’Donnell and his wife, Shari, of Glencoe, Brennan O’Donnell of Bloomington, Lisa Weber and her husband, Scott, of Glencoe, Bradley O’Donnell and his wife, Jenifer, of St. Clair, Denise Lemke and her husband, Robert, of Glencoe; grandchildren, Katie Weber and her fiancé Mitchell Jewett, Kyle O’Donnell, Kayla Muenchow and her husband, Matthew, Kelsey O’Donnell, Derek Weber, Elizabeth O’Donnell, Olivia Lemke, Amber O’Donnell, Spencer Lemke; sister, Lucille O’Donnell; nieces, nephews, other relatives and friends. Mr. O’Donnell was preceded in death by his parents, Michael and Elizabeth O’Donnell; father-in-law and mother-in-law, Joseph and Bessie Junn; brothers and sisters-in-law, Donald and Viola O’Donnell, Raymond and Ruth O’Donnell; brother-in-law, Edward Junn; granddaughter, Brea O’Donnell. Johnson-McBride Funeral Chapel of Glencoe handled the arrangements Its Web site is www.mcbridechapel.com where online obituaries and guestbook available.